Nasze biuro wykonuje dla Państwa profesjonalne tłumaczenia pisemne w zakresie takich języków obcych jak: angielski, niemiecki, rosyjski, francuski, hiszpański, oraz wielu innych. Zatrudniamy wybitnych specjalistów w tej branży, posiadających certyfikaty i świadectwa ukończenia renomowanych uczelni w Polsce i za granicą. Nasze tłumaczenia są w maksymalnym stopniu zgodne z oryginalnym tekstem. Oferta naszej firmy jest elastyczna - dopasowujemy działania do potrzeb i oczekiwań naszych klientów. Celem naszej firmy jest zagwarantowanie Państwu najwyższej jakości usług. The subject of the book are construction initiatives of Roman rulers who ruled during socalled crisis of the 3rd century. Synthetically this age characterize lack of political stability and economical difficulties. The coincidence of these factors undoubtedly influenced on the described in the monograph aspect of emperors activity. However in sources of various categories the effects of emperors activity resulting in periodical improvement in building and architectural sphere, which positively demonstrate the rulers commitment and their aspiration to express their greatness in architectonic masterpieces, can be found. The signs clear for us and less evident crumbs of this activity remained in Rome. The authoress presents activity of the rulers of the fifty years in 235–284 as focused on enriching the City on the Tiber with new architectonic objects and monuments, restoring buildings inherited from previous ages and on providing defensibility to the Rome. She points out the monumental buildings but also she attempts to find those hardly spectacular constructions, which are far from monumentality. In this study described Roman buildings are defined as the result of initiatives and interests of the emperors them selves and as the expression of their (self)presentation as good Roman rulers. The period of rule of the Flavian dynasty in Rome did not even cover 26 years (70-96 AD). Nonetheless, it was characterized by very deep changes of the inner structure of the Ro¬man state, which, undoubtedly, exerted significant influence upon the subsequent hundred years of prosperity of Imperium Romanum. Due to spectacular moves of the Flavians in the West of the state, especially in the territory of Spain, in the provinces along the Danube and the Rhine and in Britain, which additionally were quite well documented in sources, a special place is devoted in scholarly studies just to this part of the Roman state. The eastern provinces, although their importance and role in the total picture of the Roman Empire is strongly emphasized, are situated—if we consider the Flavian period—as if in the background. The aim of the present book is to demonstrate the meaning of adminis¬trative changes introduced in the East by subsequent rulers from the Flavian dynasty in the context of “ordering” by them the inner structure of the state, and, at the same time, combining those transformations with external policy. The actions of the Flavians were limited to the regulation of the system of provincial administration by the elimination of the vassal states, the incorporation of them within the borders of the neighbouring. 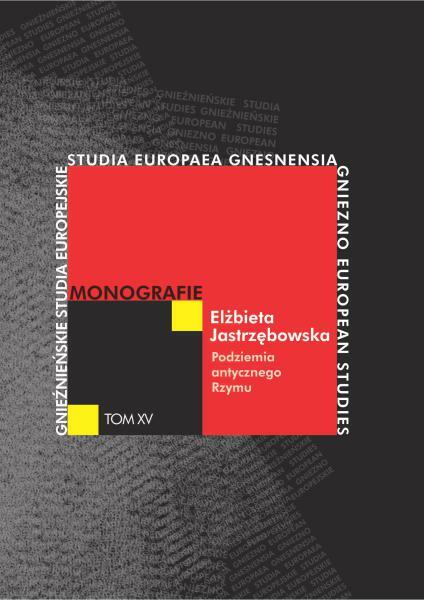 The present monograph confronts with complex problems of the modern civilization which is ever more often termed as an information society, a society based on knowledge or postmodern society. The discussed problems are the consequence of dynamic changes occurring in the sphere of communication which result in the transformations in the sphere of culture. A stimulus for this publication was an ever more clearly visible necessity of refreshing (updating) humanistic reflection upon the dramatic changes accompanying the teleinformatic revolution. The authors hope that the monograph shall be a contribution to a wider discussion about the scale this resolution changes the world known to us, based on certain cultural foundations. Are these changes so radical as to redefine the cultural and ethical foundations of civilization? And if so, shall the previous ethical and cultural concepts prove useful for the contemporary and future societies? The authors of the presented texts try to provide the answers to these and other questions. The texts collected in this volume address the issue of Spain, a central theme which has long fuelled the dispute on the essence of what is “Spanish”, if such a thing exists at all. It has been addressed on many occasions and approached in various ways. Much was written by philosophers, historians, sociologists, experts in cultural and political studies etc., yet it would be far-fetched to consider the matter finally and conclusively settled. The changes which have taken place in Spain since the famed transicion do not provide a clear answer as to the nature of present-day Spain, and in particular do not specify what unites the contemporary Spanish society. What is more, besides the nationalism characteristic of the central authority, the claims made by the local nationalisms, Catalan and Basque, are becoming more and more radical, as they openly challenge the existence of Spanish nation and wish to make “Spain” a purely geographical denotation. Throughout its history, Spain has oft en been forced to defend itself from external foes, while today the principal threat to the existence of the state seems to come from the inside. The questions posed by the authors of texts and the answers given relate to the historical, cultural and political inspirations. 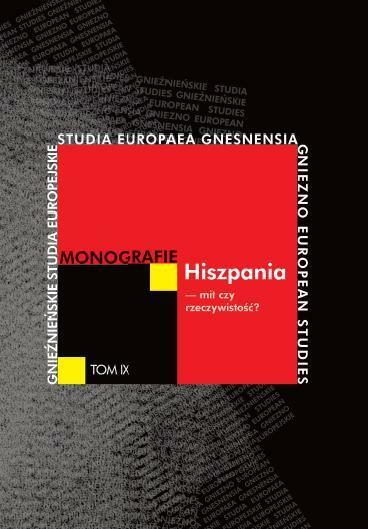 With the hope that the texts collected here may contribute to the reflection and better understanding of the identity of Spain, a country geographically remote from Poland and yet not so distant culturally, we commend them to the attention of the Reader. The book is a study describing a dynamic and traditionally grounded relation between two culturally diverse communities consisting of people, who were living together with each other and, sometimes, unfortunately, only next to each other. The description of such an existence is presented in the book from two different perspectives. The kind of perceiving this complicated reality by one of the relation’s subjects becomes the basis for the discourse and research. Therefore, all of the book’s chapters are collected in such a way as if they were forming a complementary and twofold unity, which shows, from one hand, the Jews’ relation to the Polish people, and, from the second hand, the Polish attitude towards the Jews. Among many detailed issues discussed in the book, the inexplicable problems concerning the dreadful tragedy of the Holocaust, the proper way of the tragedy’s commemoration, and also the question of a difficult neighborhood of the two nations living on the land of Poland are presented in the volume. The next problem considered in the study is the Jews’ collective memory of the country of their diaspora before the Second World War. The contribution of the Jews to the cultural heritage of Poland is shown in the context of literature. It focuses on such authors as O. Kofler, E. Pintus, A. Eker, R. Brandstaetter, M. Dądrowska and J. Iwaszkiewicz. 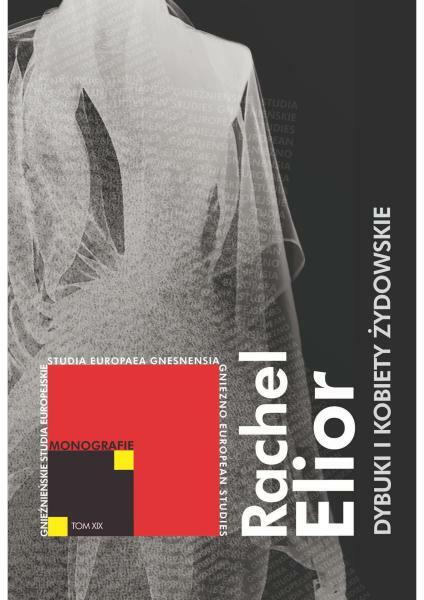 The concept of ‘image’ mentioned in the book’s title can also be regarded as a relation between Polish Christians and Jewish believers of Judaism. Nevertheless, apart from the multiplicity of problems discussed in the study’s content, there is not one and universal answer to the question how, in fact, the Polish and Jewish reality looked like. It rather seems to be just a very colorful picture. 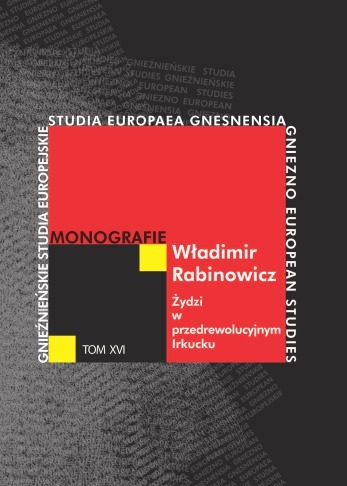 The book is a collective monograph written by Polish and Ukrainian scholars conducting interdisciplinary studies within the field of the humanities. The monograph emphasizes the fact that the Ukrainian politics is not always well understood in Western Europe and the decisions of the Ukrainian authorities are often evaluated separately from a complex social, historical and economic context. The editors of the book suggest looking at Ukraine as at one of the states which are prospective candidates to the expanded European Union and thus, they face a number of questions troubling modern politicians and societies of the European Union and the Eastern Europe. The publication presents various models of bilateral contacts in the field of education, local self-government, cooperation between towns and transborder cooperation. 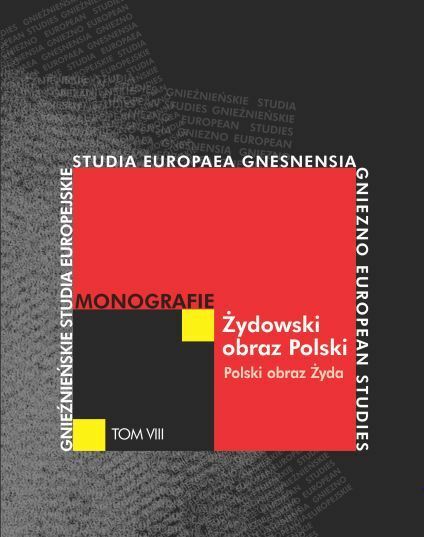 The articles included in the monograph have been prepared in the Polish, Ukrainian and English language and are divided into two main thematic groups: political-economic and social-cultural issues. 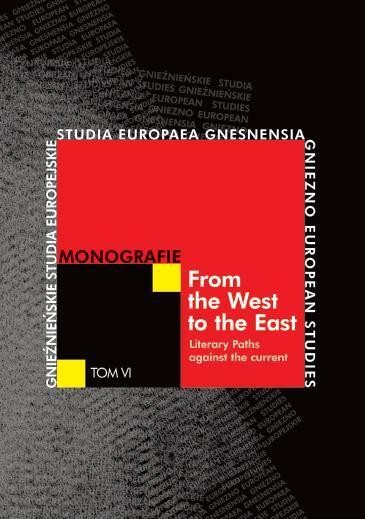 “Against the current” — as the main tendency of peregrination of the European artists, not only writers, has always been in the other direction, towards the West. Consequently, the West has most often been the object of interest for literature specialists. Meanwhile, an international group of comparatists, the authors of the present volume, wish to show the opposite direction of travelling, also observable in the history of European culture, the fascination, or even emigration of the people of letters from the western parts of the continent to the East. 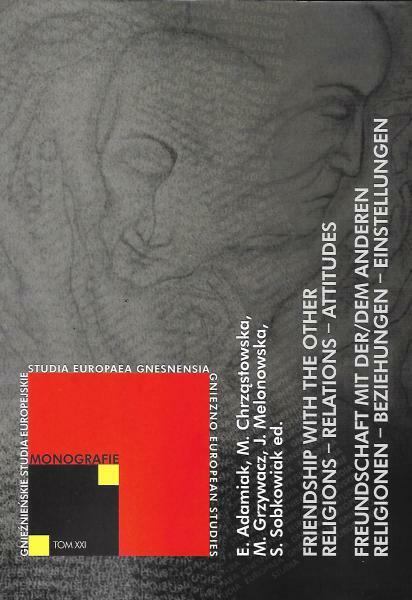 Apart from the profiles of sometimes poorly known French, Portuguese, German and Danish artists — from the Enlightenment to the modern times — in some way attracted by our European outskirts, the collection additionally includes extensive excerpts of autobiographical prose of the contemporary writers intending to go to — and choosing — the East. Definitely, they shed some light on an interesting motivation of such artistic choices. Medicine at the service of the system of extermination of people in the Third Reich and in German-occupied Poland, G. Łukomski, G. Kucharski, Poznań-Gniezno 2011. 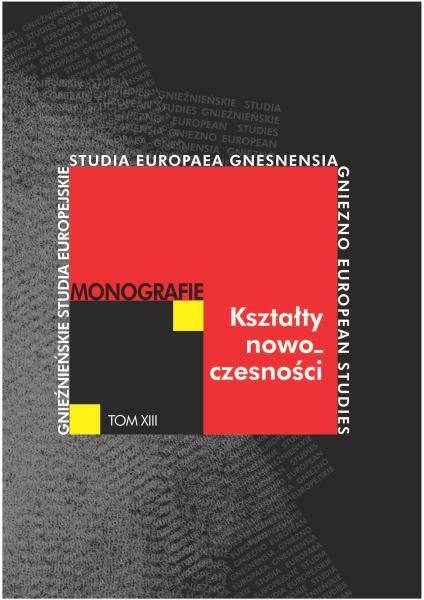 The present StEurGn monograph book has been prepared in collaboration with several scholars and researchers from Poland, Germany and France. 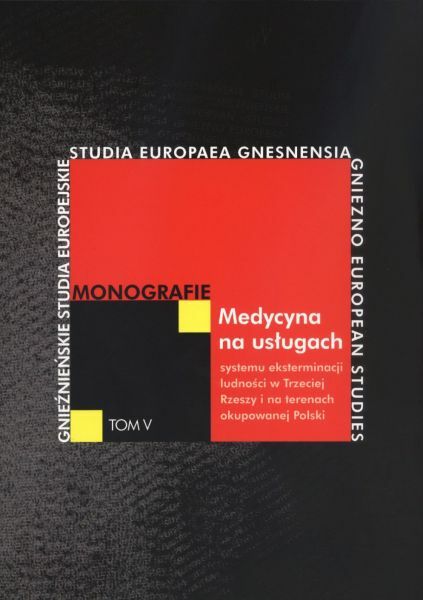 The book is divided into three basic thematic threads: general questions related to the roots of Nazi ideology, extermination of populations in German-occupied Europe during the Second War, and the Gniezno contribution to the knowledge of the medical extermination. 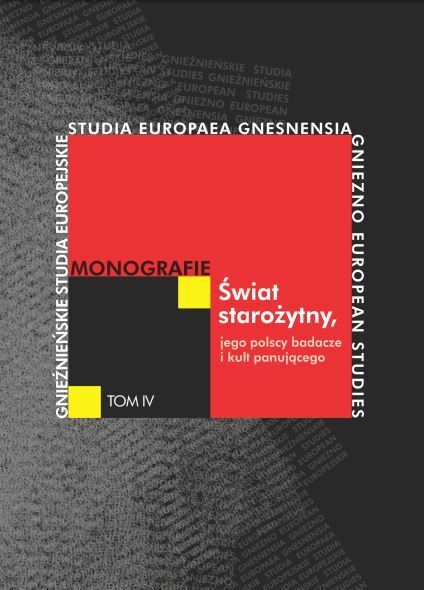 The present volume is a good example of a contribution of joint Polish and German research study on the issue. Its problem evaluation and the scope of investigations will be, one may assume, systematically and appropriately enlarged and expanded. Though the problems of medical crimes have been frequently addressed scientifi cally, the subject has not been fully investigated as still new fi ndings and conclusions based on the latest research crop up. 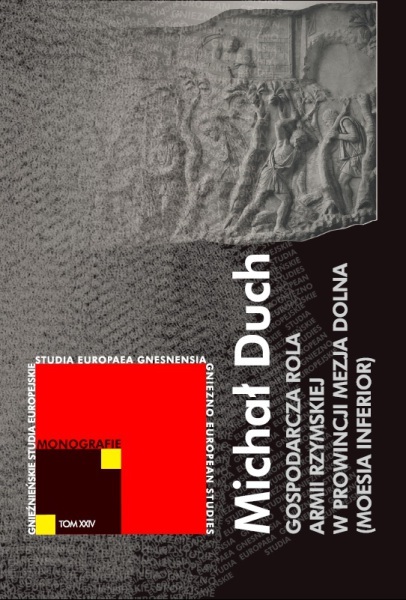 The studies collected in this volume commemorate the 90th anniversary of the establishment of the University of Poznań and, at the same time, the 1919 foundation of the Department of Ancient History within its walls, the first such department to appear in Reborn Poland. The studies present the figures of outstanding Polish scientists of the interwar period. The second part is devoted to the cult of the ruler in antiquity, as explored by the Polish scholars. These studies were begun by Ludwik Piotrowicz, the first head of the Department, with a book on the ruler cult in antiquity. 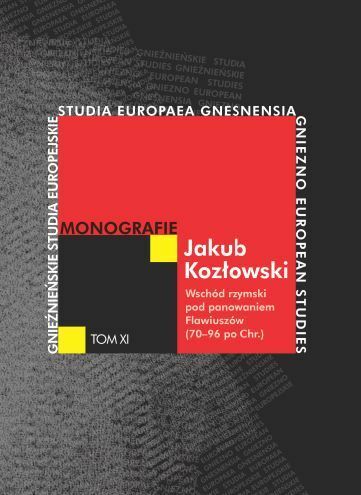 Thus he initiated an original direction of research in Polish historiography, a direction which enjoys both constant and immense interest in international science. 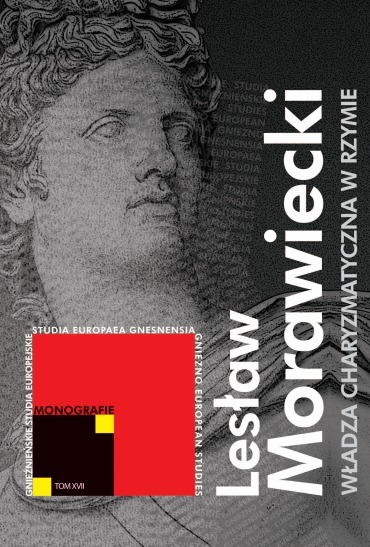 In the last decades of the past century, its prominent representative was Lesław Morawiecki, a scholar associated with the University of Rzeszow. With his treatise on charismatic power during the late Roman Republic, he substantially expanded the notion of the “ruler cult”, thus becoming an established name in historiography devoted to the subject. It is to them that we dedicate this volume. The book “Internet — the instrument of cultural imperialism” discusses the problem of the relation between the contemporary culture and modern mass media, with a special emphasis put on the Internet. 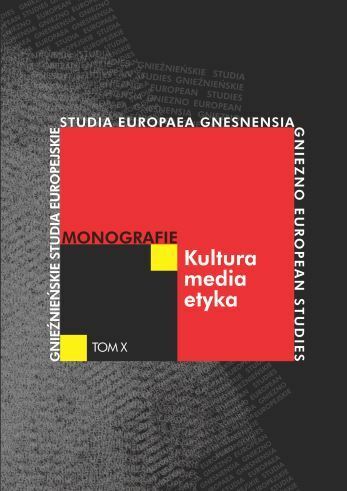 The author uses the concept of cultural imperialism in order to describe the phenomena from the field of culture and media, considering the usability of this theory for the contemporary analysis in the field of culture and media knowledge. The sphere of culture has been always connected with interpersonal communication. All changes in the way of communicating exert impact on the shape of culture. The arrival of traditional media (the press, television) rendered it possible to communicate on the mass scale, which resulted in considerable changes in the broadly understood culture. The introduction of the youngest medium — the Internet — has revolutionised and thus accelerated these changes. The text presented here presents an analysis of the processes underlying the contemporary cultural transformation as well as its directions. The book discusses the problem of economic and political as well as historical determinants of the contemporary communication. 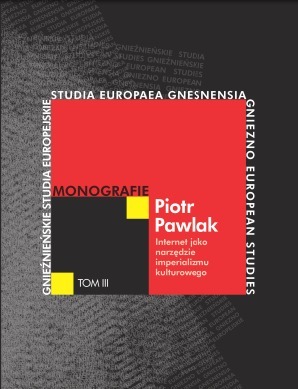 The text elaborates the title concept of cultural imperialism, presents the cultural origin of the Internet and describes a number of problems from the field of the modern mass media market, particularly modern information and communication technologies. The monograph deals with the problem, broadly discussed in Polish studies, of the reception of Germanic tribes and ancient Germania from the Roman times. The problems discussed in the article concern two crucial aspects: the geographical range, especially from the eastern side, as well as the ethnicity, which particularly interests Polish scholars (usually limited to the explication of ancient ethnonymes and toponyms referring to the lands between the Oder and the Vistula rivers as Slavic). The reception of the discussed problems has been strongly infl uenced by the political situation of Poland and by being neighbours with Germans as well as by strong impact of nationalism, dating back to the end of the 19th century, and, resulting from it, German-Slavic antagonism which deformed scientific research. All this infl uenced the interpretation of the historical and archaeological sources, in which special emphasis was put on ethnic aspects. This attitude resulted in the negation, by most Polish researchers, of the fact that Germanic tribes did stay on the Polish territories. This opinion had dominated in Poland until the 1970s. 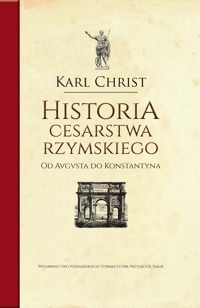 This scientific and political dispute reached its culminating point in the 1930s, when the ethnicity of Germania (eastern) in the first centuries after Christ and territorial controversies dominated all mutual relations between Polish scholarly circles and German that treated the western part of Poland as post-Germanic heritage. Ukrainian and Polish relations in the years 1917–1923 have not yet been sufficiently analyzed. 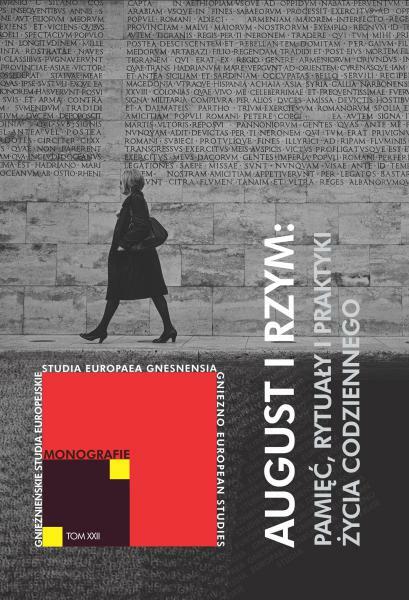 Historians did not explore the issue comprehensively: there have been separate studies of relations between URL [Ukrainian Soviet Socialist Republic] and Poland (especially with regard to agreements and conventions signed in Warsaw in 1920 and their aftermath) and the relations between ZURL [West Ukrainian Soviet Socialist Republic] and Poland (exclusively as a conflict in the Polish-Ukrainian war in the year 1918-1919). For this reason, the Author of the monograph decided to examine the question in its entirety treating Ukraine as an integral whole. The relations between both parts of Ukraine and Poland interlaced closely and were characterized by the search for agreement. The book sheds light on the overall complexity of Ukrainian relations with Poland during the revival and formation of national states, taking into consideration the specificity of historical past, including subjection of the lands of Ukraine to various empires, the development of socio-political thought and the character of processes occurring during the 1917-1921 revolution. The Regional specificity of the Dnieper and Galician politics is examined synchronically, chronologically and in mutual correlation. 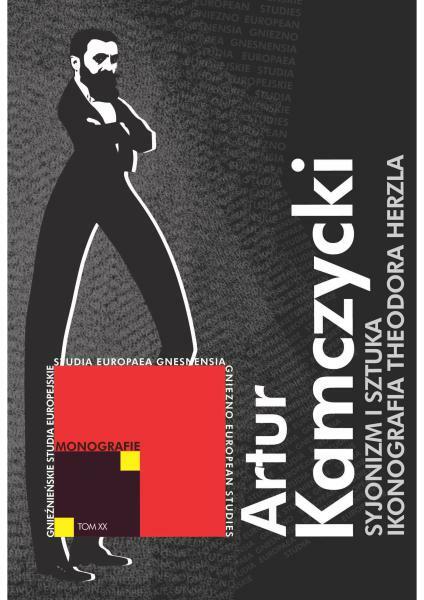 Following objective analysis of hitherto unknown documents, the author attempted to present a multilayered account of relations between the Polish and the Ukrainian nation. From the very beginnings of the Ukrainian political movement and the onset of a new developmental phase of the Polish one, those relations were typified by lack of trust and understanding.